Our excellent reputation in the moving and storage industry has gained us a number of commercial, and/or government accounts, as well as numerous satisfied customers for residential moves. Accredited by The Better Business Bureau since 1978, we strive to provide quality service and competitive pricing strategy in order to take the greatest care of your valuable possessions. 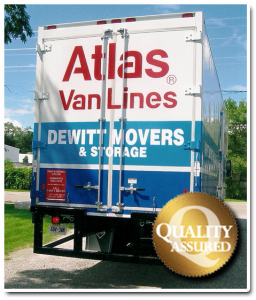 So make YOUR move today… With Dewitt Movers and Storage! Our commitment to highest standards of customer satisfaction is acknowledged by many awards and testimonials.